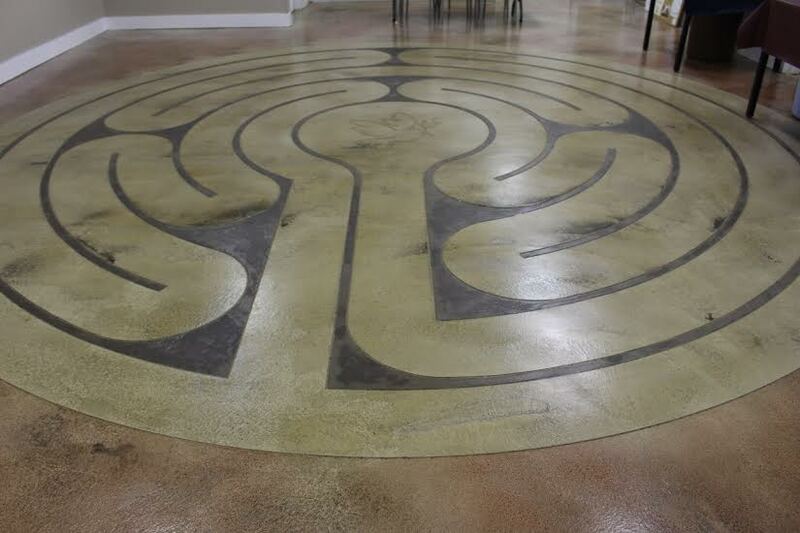 Our new CHARTRES LABYRINTH FLOOR is now complete. It features beautiful, polished concrete with the design of the famous labyrinth in France where thousands of pilgrims from all over the world travel for spiritual growth and prayer each year. 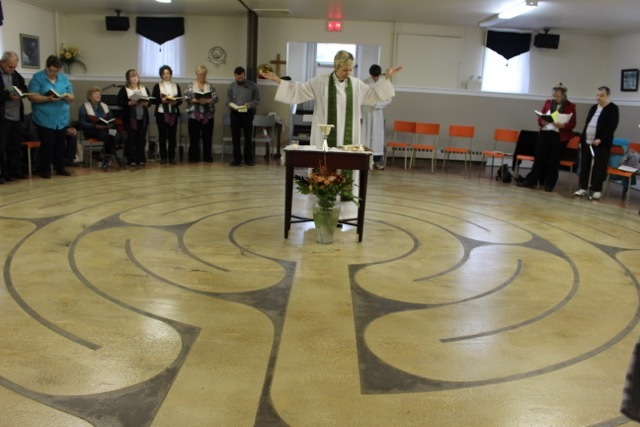 Our use of the labyrinth is for the same pilgrimage and prayer purposes, without the cost of a plane ticket to France! We also have a smaller scale children's labyrinth for teaching our children about journeying through life with compassion, as channels of peace. Now that our labyrinths are finished we are developing some new worship service formats and Christian Education programs that centre on using them for adult programs and children's programs. We can't wait to begin offering these Fresh Expressions of Church in the midst of our community of Beaver Bank! Our Go to the World! 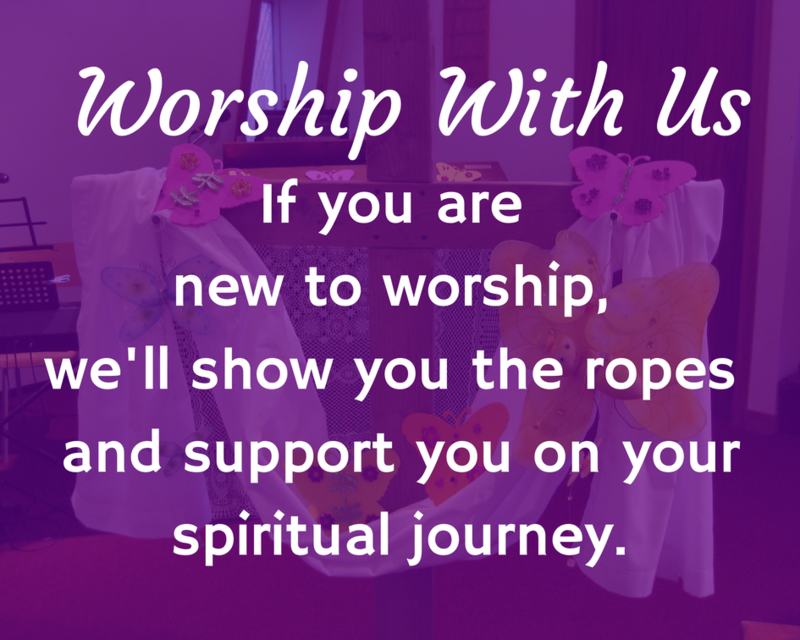 Fundraising Campaign continues to help cover the cost of renovating our parish hall. Donations were made designating your gift(s) in memory of a loved one, or to celebrate a special occasion, or to place your own name on our Donor Wall. Our One-of-a-kind Donor Wall is an inspirational, hand crafted Ceramic Art Installation and is located in the front foyer of the Church. This was a project all its own and has recently been installed. It will be dedicated on Sunday, May 6th at a special service. Our Newly Renovated Hall is now Available for Rental.